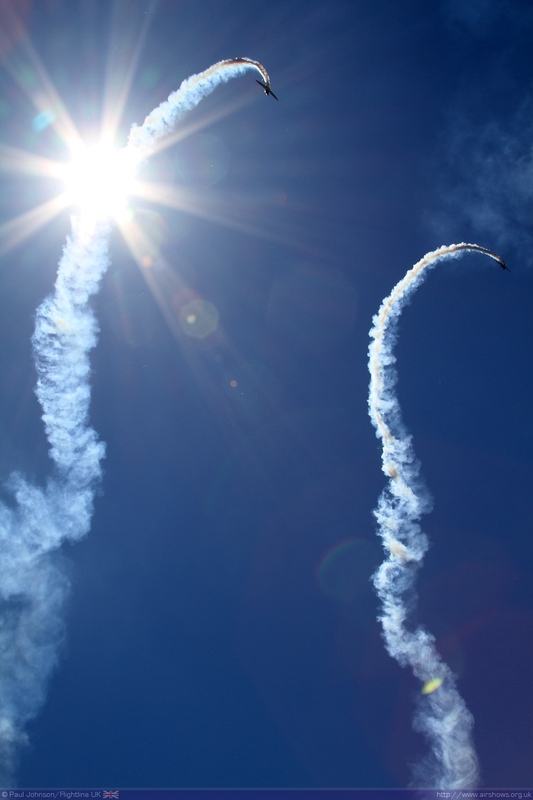 The end of June was surprisingly devoid of major shows, and even more surprising were the clear blue skies and warmth that blessed most of the UK. 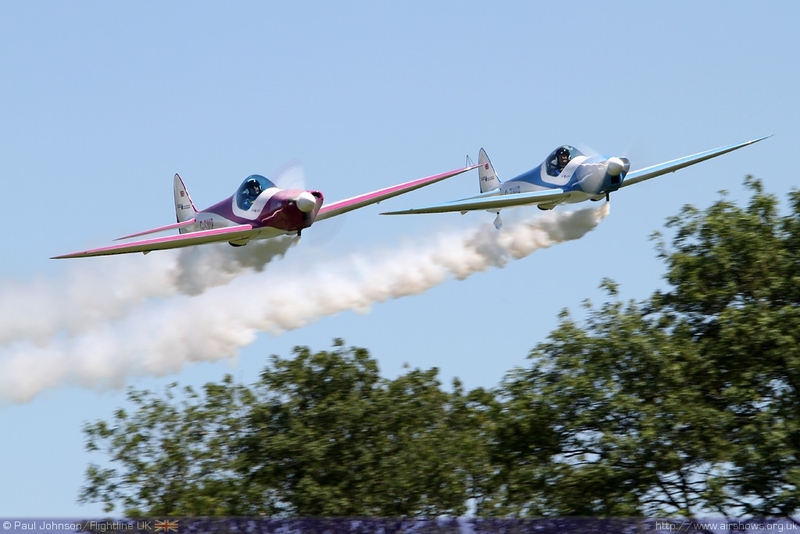 One of the few airshows that was taking place was the Wings and Wheels event at Baxterley, an unlikely farm strip near Atherstone in Warwickshire. 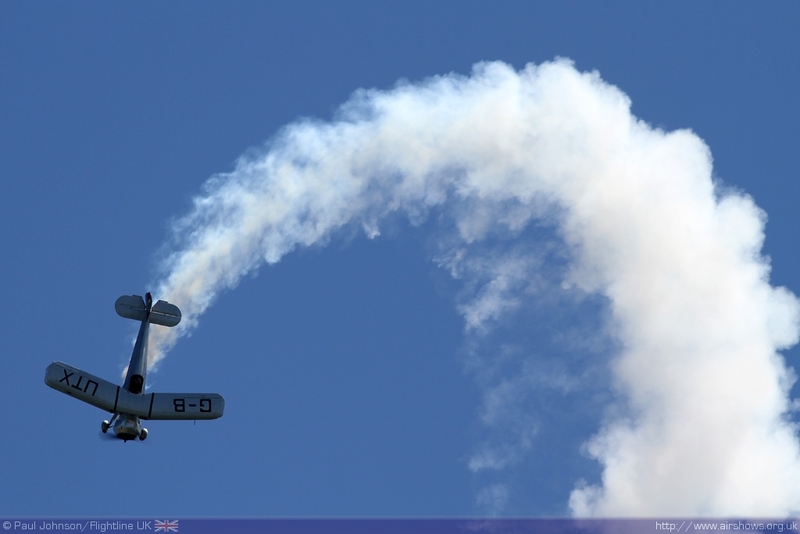 These events are always a delight bringing aviation much closer to spectators and often including acts seldom seen at some of the larger airshows. 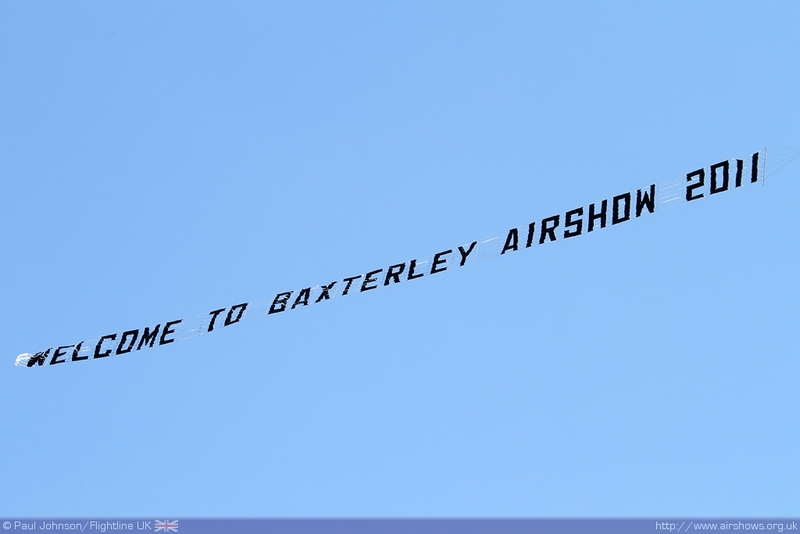 Baxterley is more of a hidden gem than you might realise. 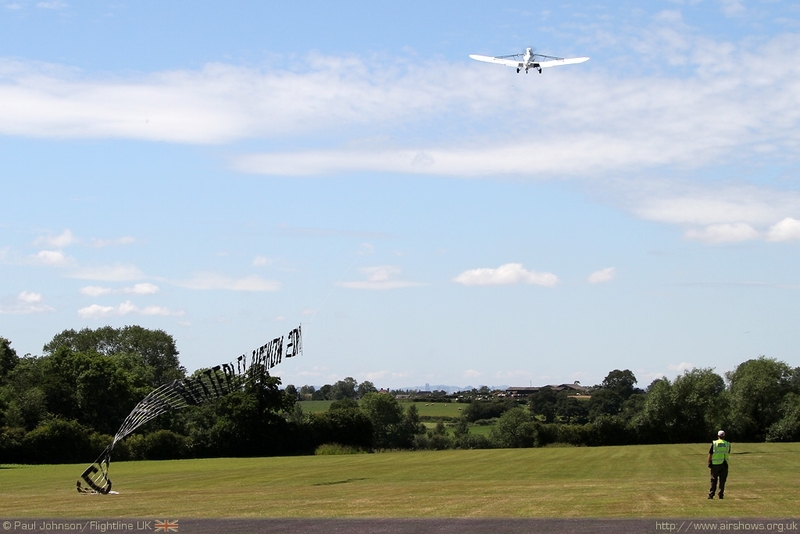 The airfield is well hidden amongst the country lanes of North Warwickshire, and certainly from the road it was hard to make out the scale of the event behind the hedges. 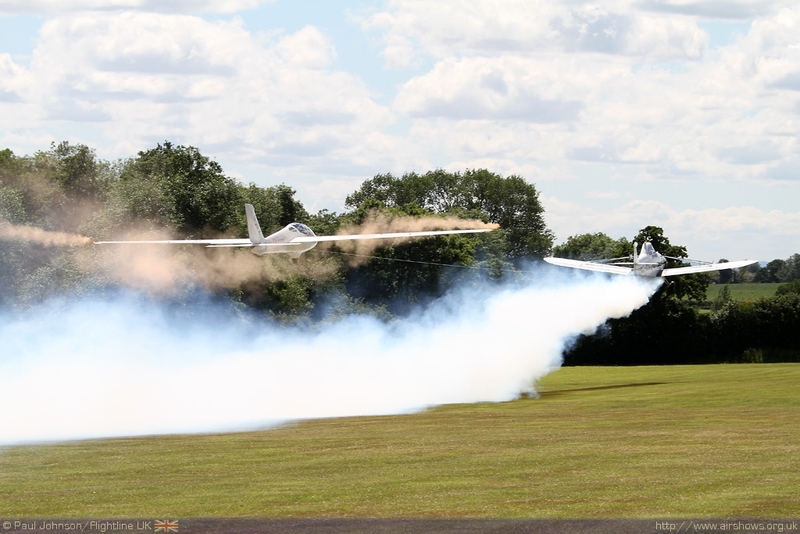 Even driving in, parking up and walking to the crowdline, it was not until the very last minute that you realised you were actually at a sizable aviation event. 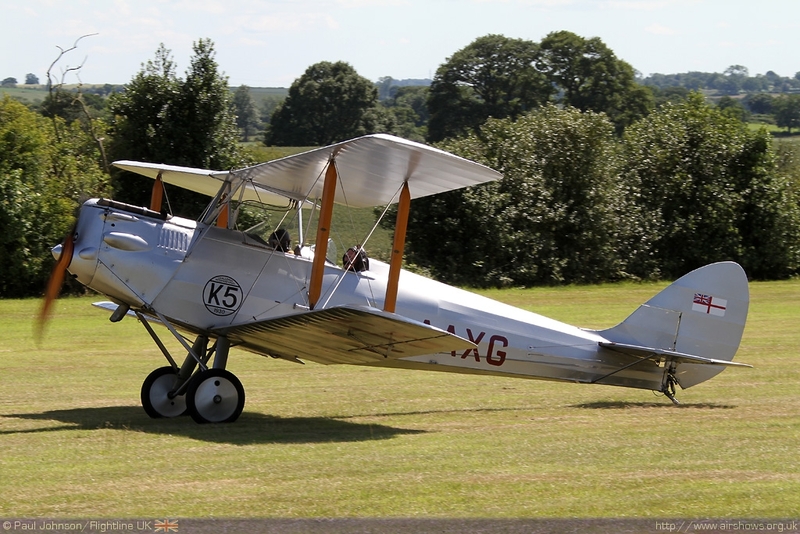 The barns (or should that be hangars) hidden around the farm were a veritable treasure trove of aviation relics and aircraft. 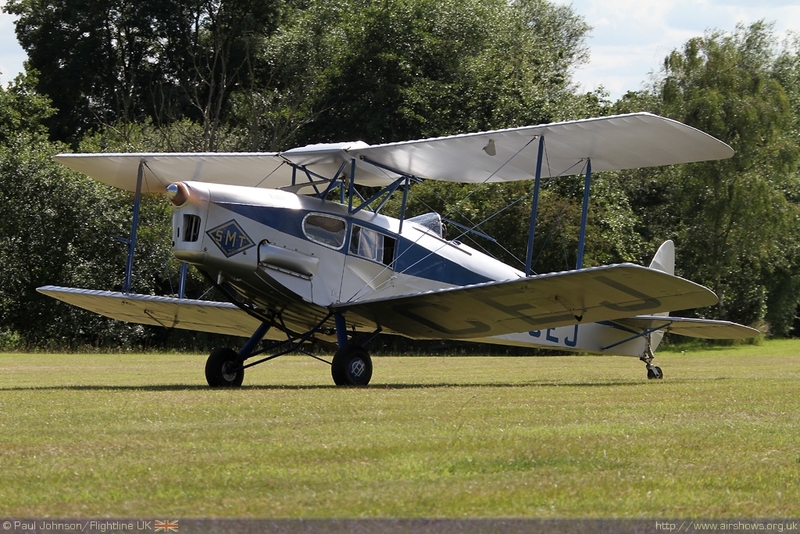 Cockpit and fuselage sections was dotted around with such rarities as a Bolton Paul Balliol and even a complete cabin from an Antonov An-2 hiding amongst the classic cars and bike that also gathered for the event. 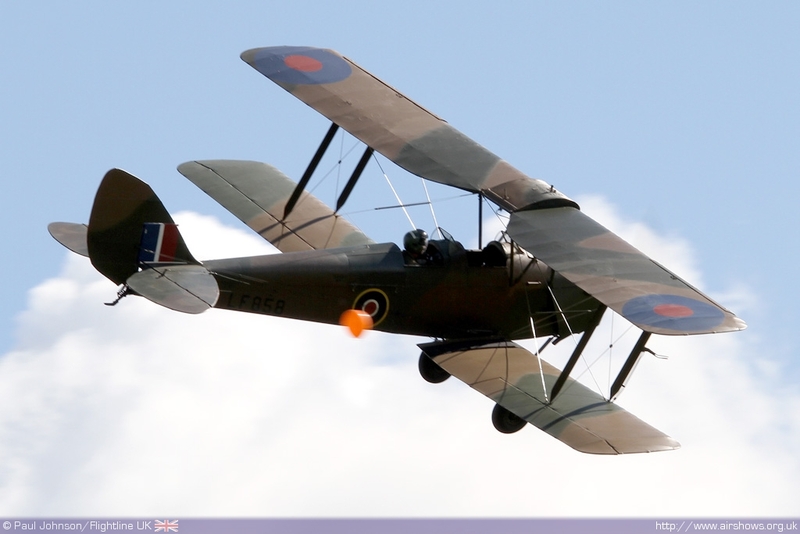 Baxterley is actually home to an active fleet of active aircraft, and the hangar contained various De Havilland products as well as a Turbulent and other classic lighter types. 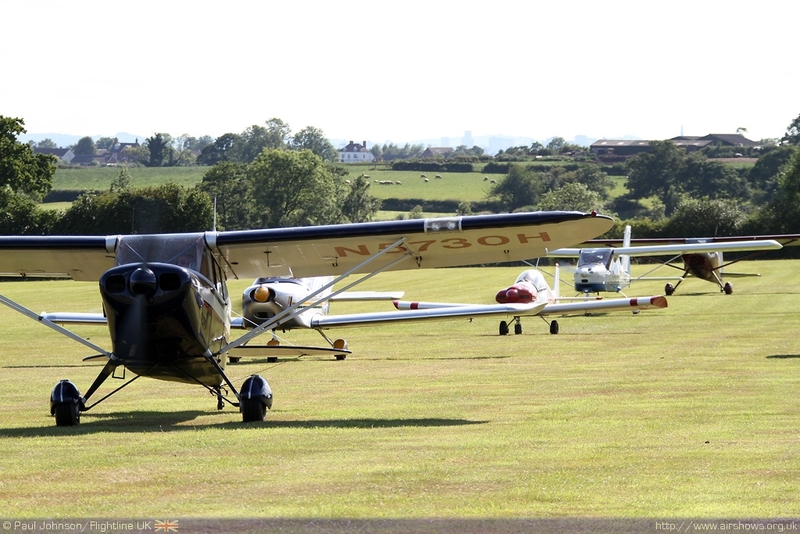 The spectator area looked out on to a very well kept area of short grass used as the airstrip, but from what you could see it looked impossibly short even from the smallest of the aircraft parked up in front of the crowd. 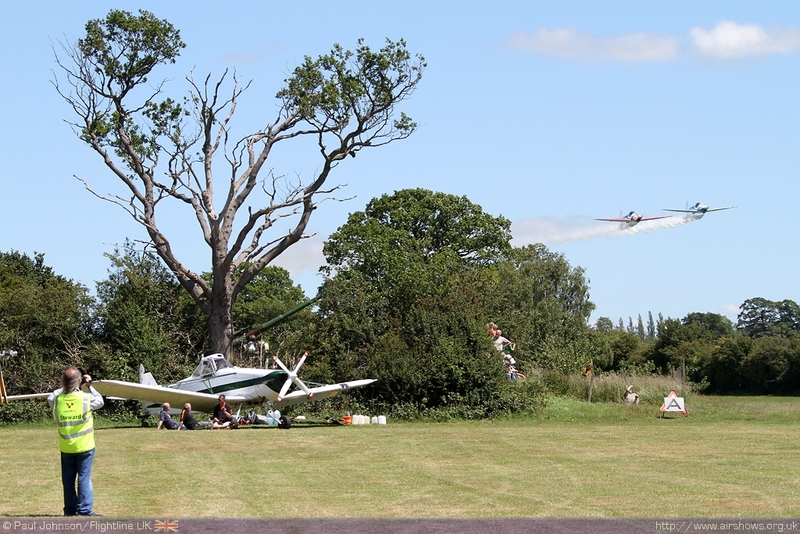 In fact, the trees and hedges disguised much of the runway with an extension disappearing from public view. 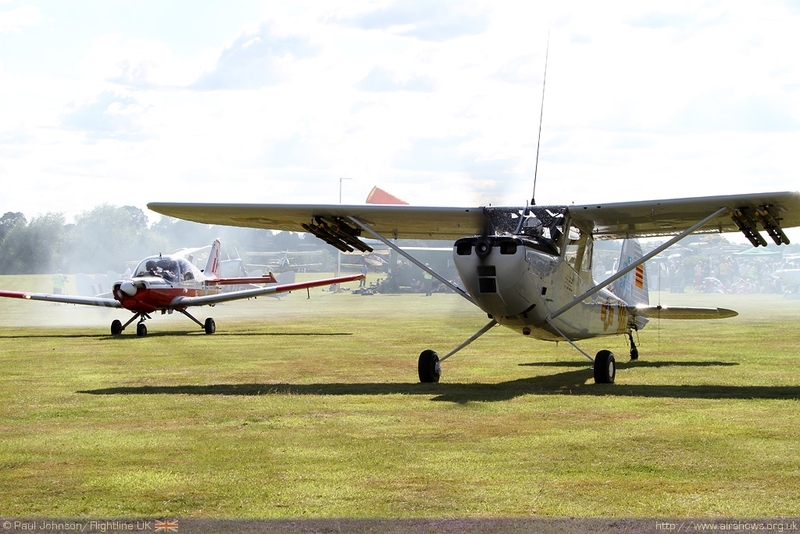 The event was far more intimate with a very busy flightline with gave spectators a very close view of the participating aircraft. 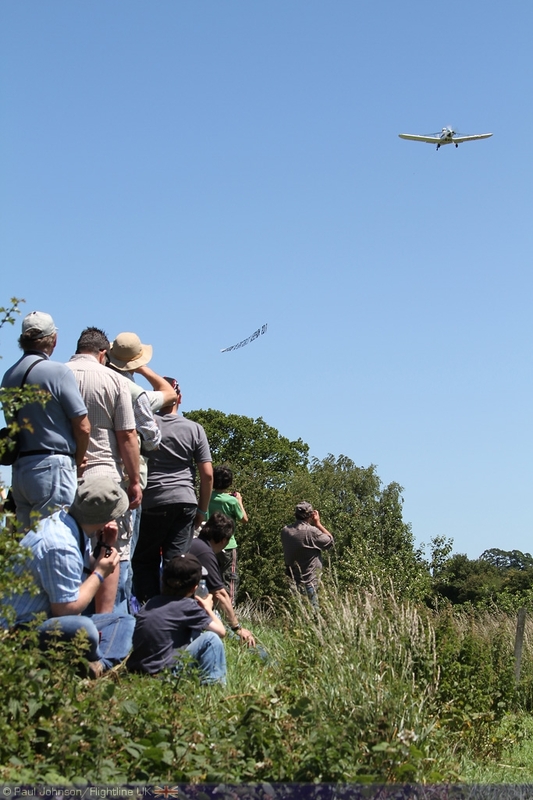 The atmosphere was much more like a small village fete than an airshow and the event was all the richer for it. 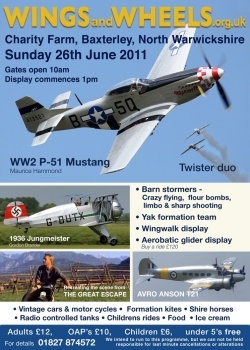 Display aircraft and fly-in participants streamed in throughout the morning and the ground staff did do an amazing job of fitting everything in. 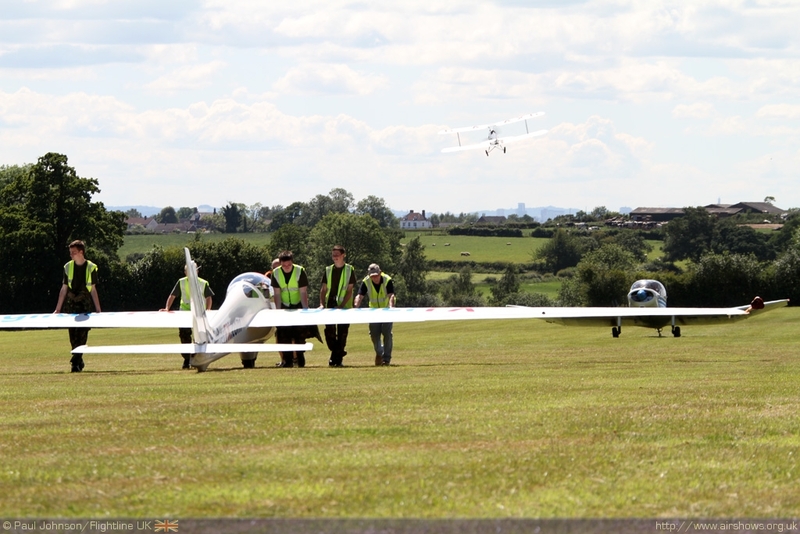 The small strip surrounding by obstacles is clearly a daunting challenge for many pilots, and unsurprisingly many went around for a second go before committing to a full stop. 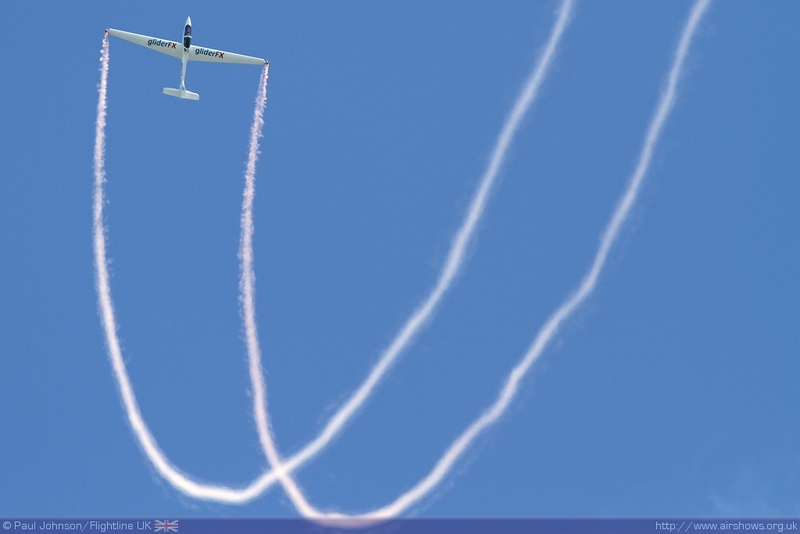 The flying display was quite a unique one in many ways, and very relaxed. 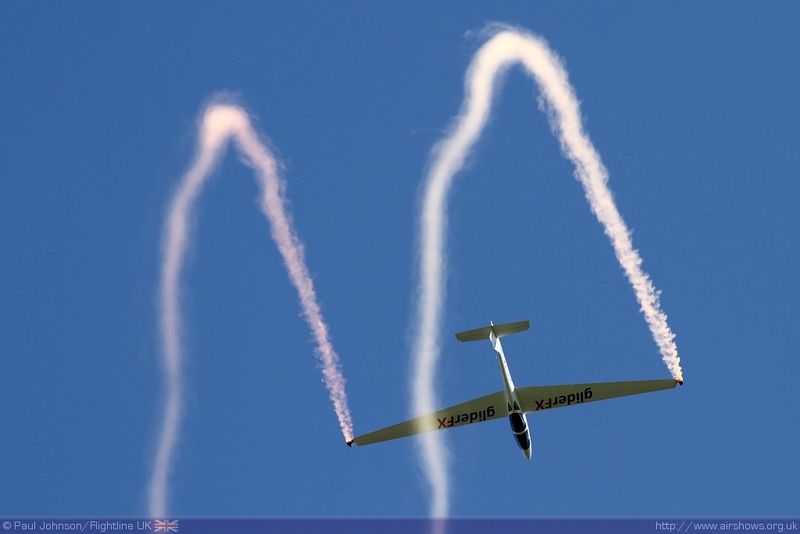 Opening the display was GliderFX's Piper Pawnee flown by Paul Moslin who provided a demonstration of banner towing lifting the banner from in front of the crowd to welcome people to the show. 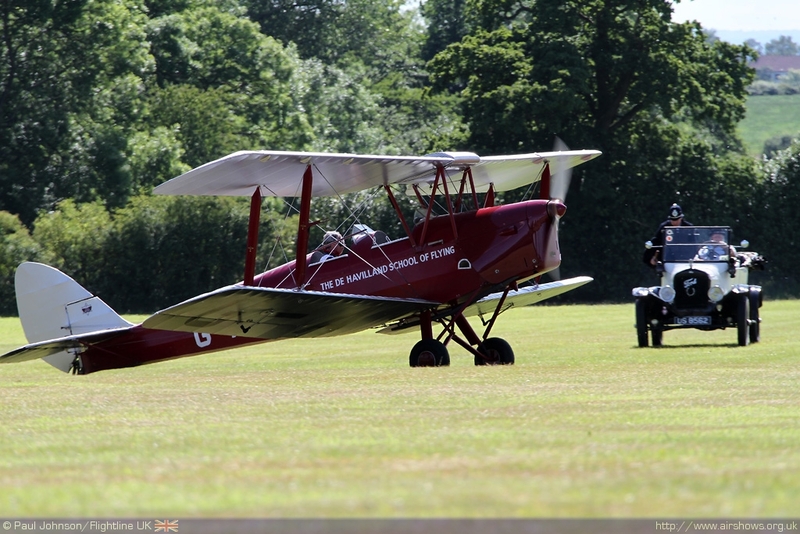 The display proper started with a rare air display performance, in the UK at least, of a Christian Eagle aerobatic biplane complete with the stunning factory markings. 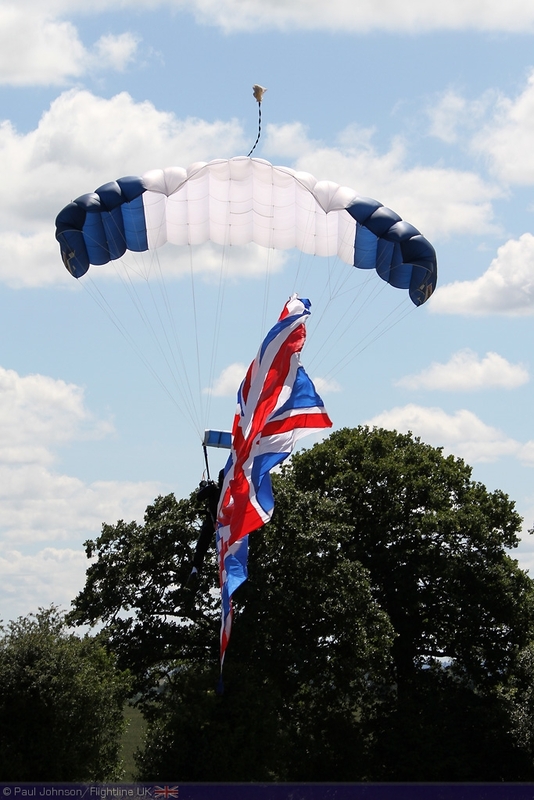 The Eagle was followed by the SWIP Team who made a quick "splash and dash" during a busy weekend of displays covering the width of the UK and the crowd really enjoyed their display, particularly their parting "heart!" 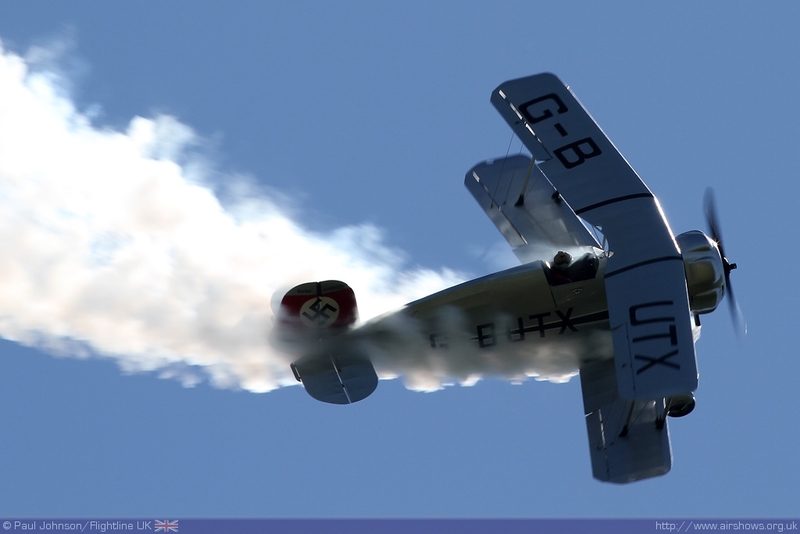 Further aerobatic were provided by Gordon Brander who put on a fine display in his Bucker Jungmeister which is fitted with an awesome smoke system they highlighted his figures in the sky. 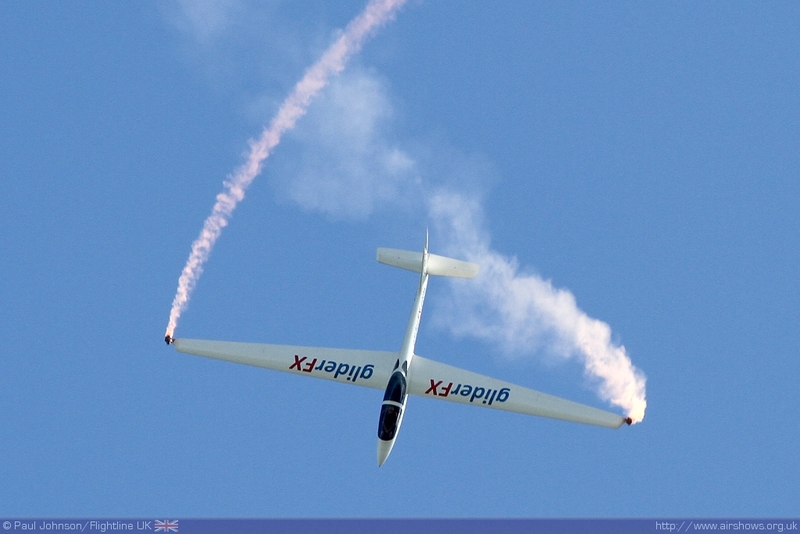 The aerobatic theme was continued by the GliderFX display team with the Pawnee and their new MDM-1 Fox aerobatic glider flown by Ian Gallacher. 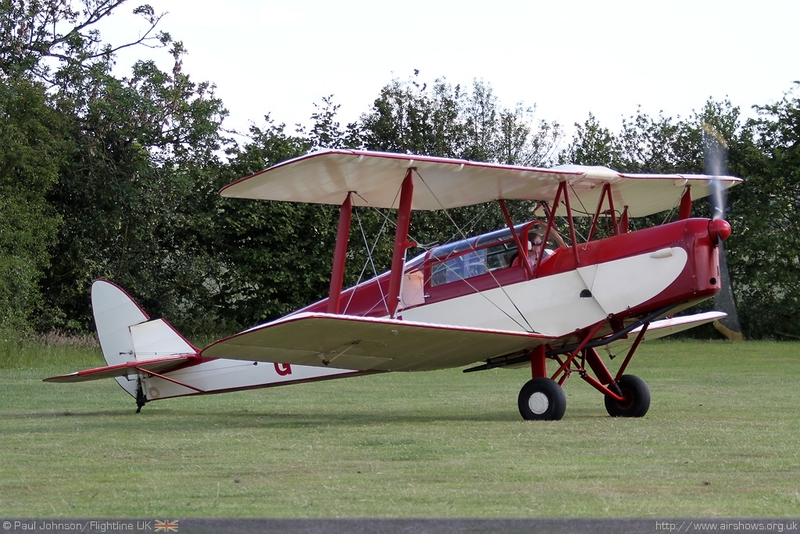 The Fox is almost a local to Baxterley having spent recent months based with the Wrekin Gliding Club at RAF Cosford where it is used for aerobatic training. 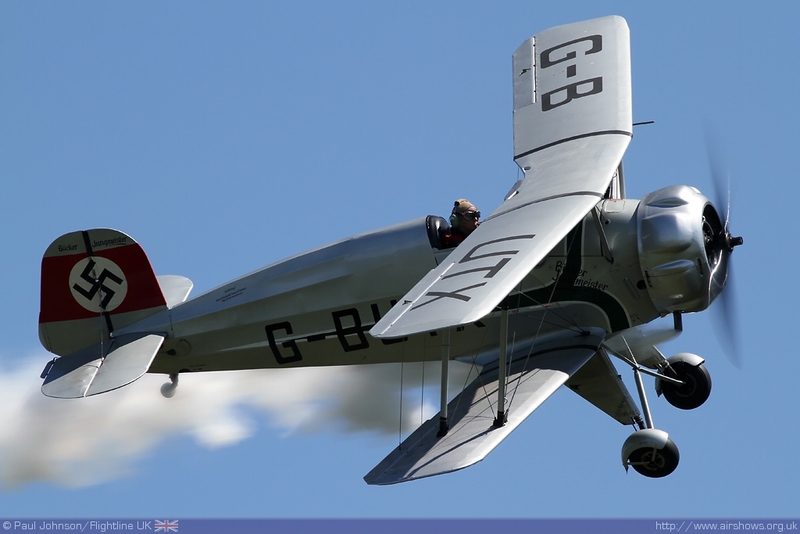 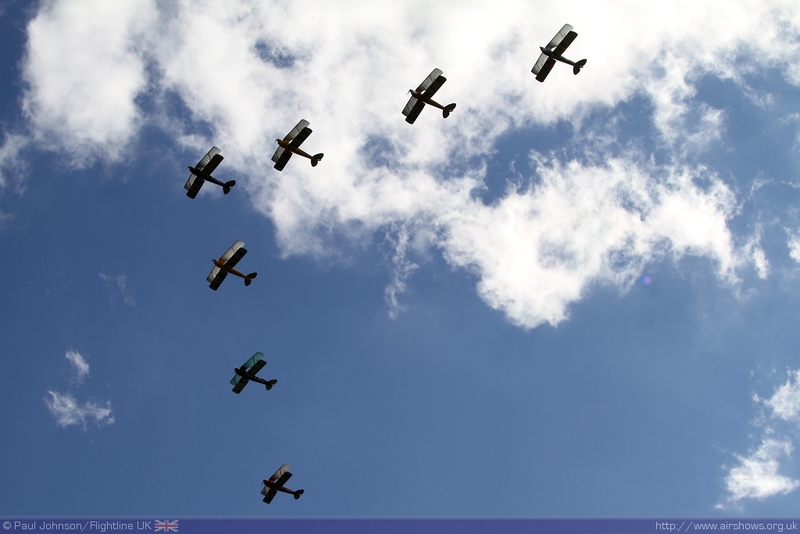 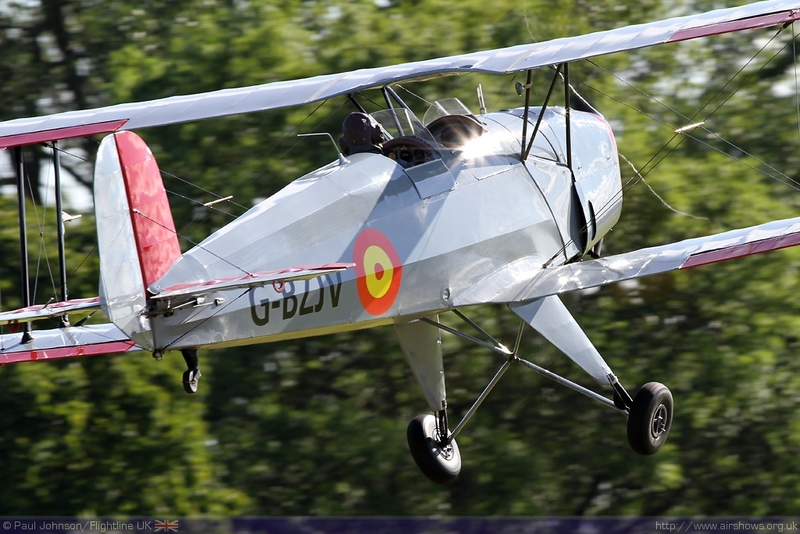 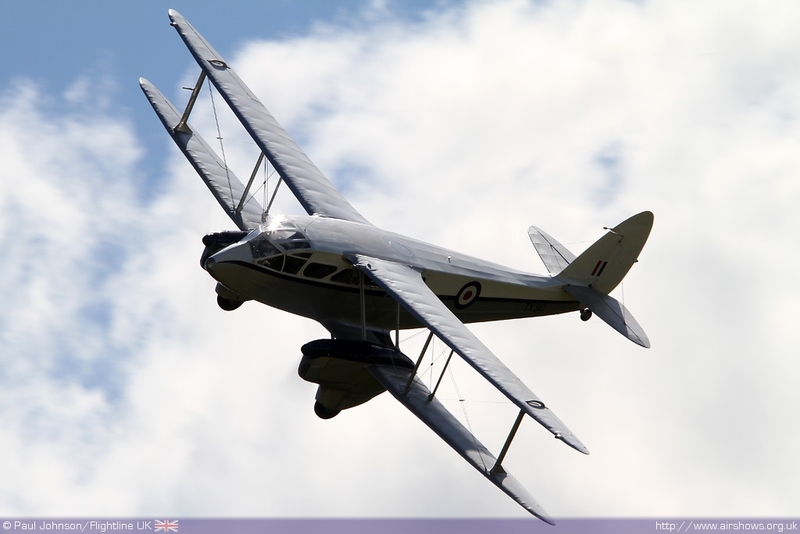 De Havilland biplanes played an important role in the flying display. 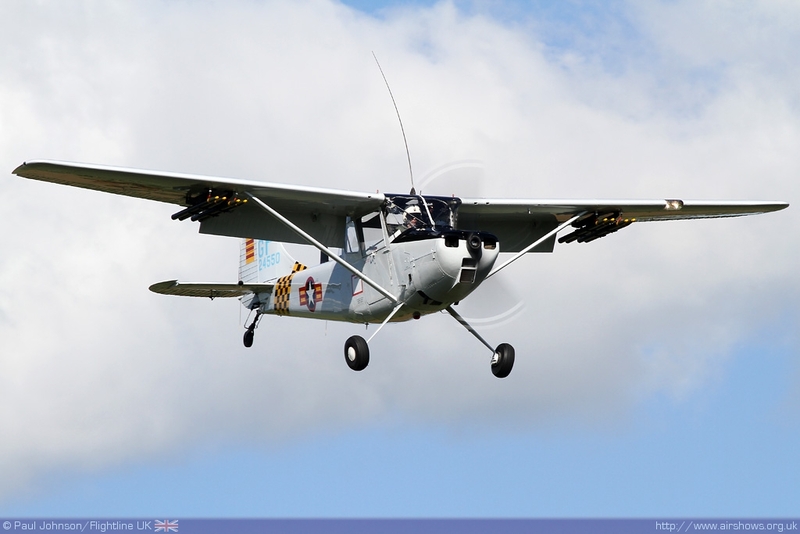 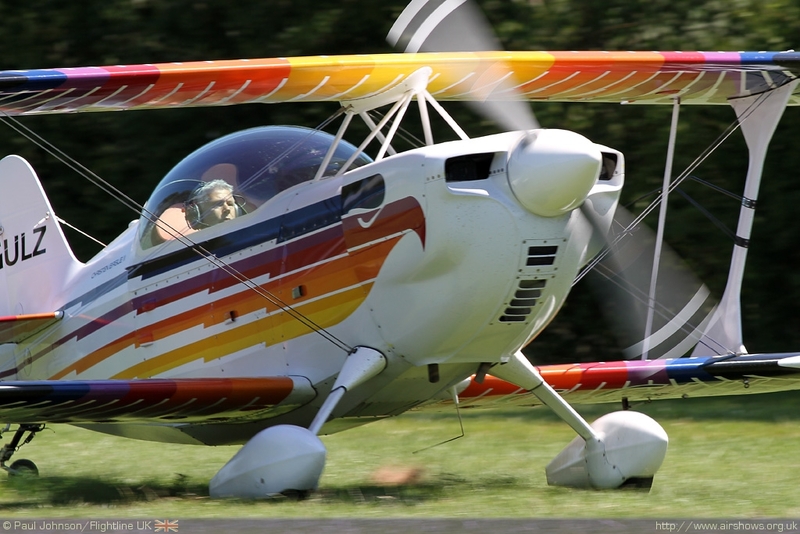 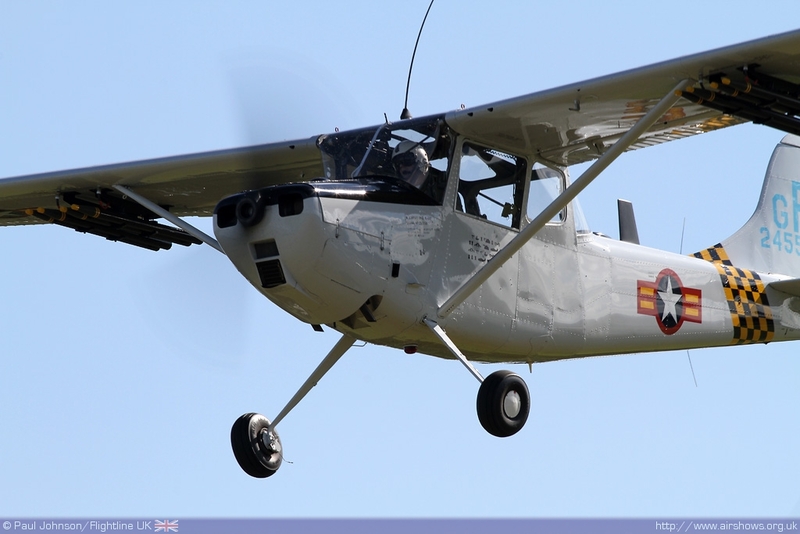 Ken Broomfield, the display director, was airborne several times in his Thruxton Jackaroo. Firstly he took two skydivers aloft for a parachute display before he returned later for one of more unique displays of "Miss Crack-shot" where he made several low passes with a passenger "firing" a pistol at a target at crowd centre bursting some balloons. 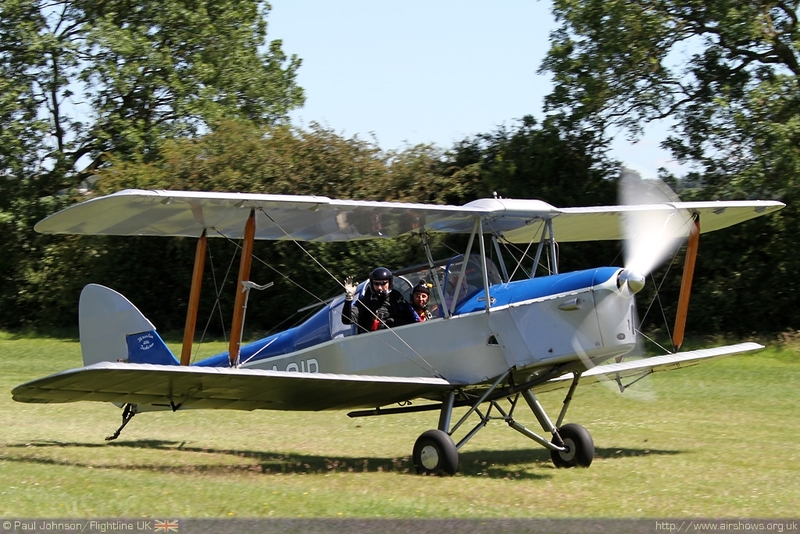 Ken also got involved with further barnstorming later in the day joining three members of Captain Neville's Flying Circus (De Havilland Tiger Moth, Queen Bee and a further Jackaroo) for some limbo flying. 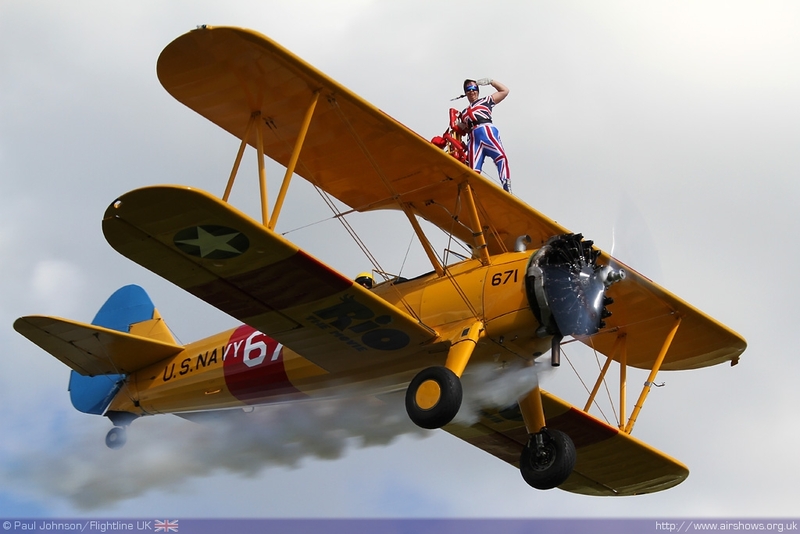 Another unique item was a re-enactment featuring "Amy Johnson", the record breaking pilot famous for her globetrotting long distance flights. 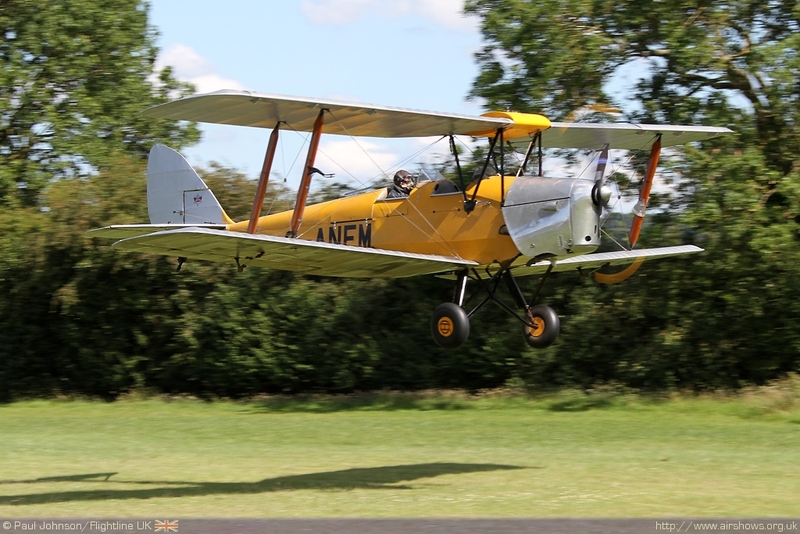 A rather beautiful De Havilland DH60M Moth got airborne with "Amy" on board for a couple of circuits to represent one of her training flight before landing in front of the crowd for an interview with commentator. 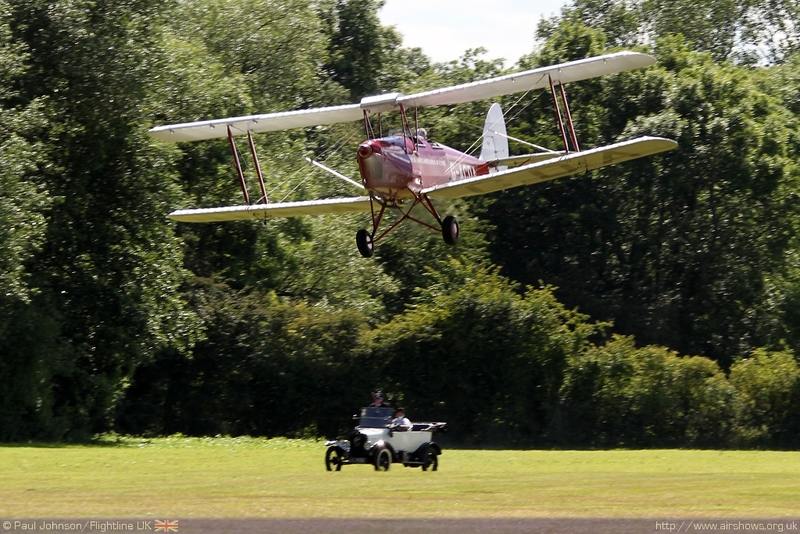 Another of the very unusual displays was a crazy flying routine in a Tiger Moth with an "escaped prisoner" being chased by a policeman in a Austin 7 car before stealing the aircraft from it hapless pilot and ducking and diving around the airfield with the policeman in pursuit! 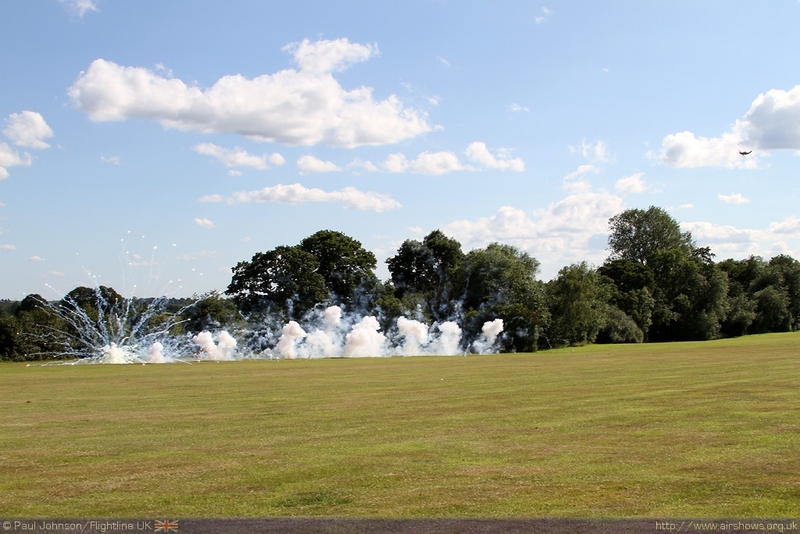 The convict eventually had enough and was good enough to land back at Baxterley to face the wrath of the pilot and an easy arrest for the rather hot policeman! 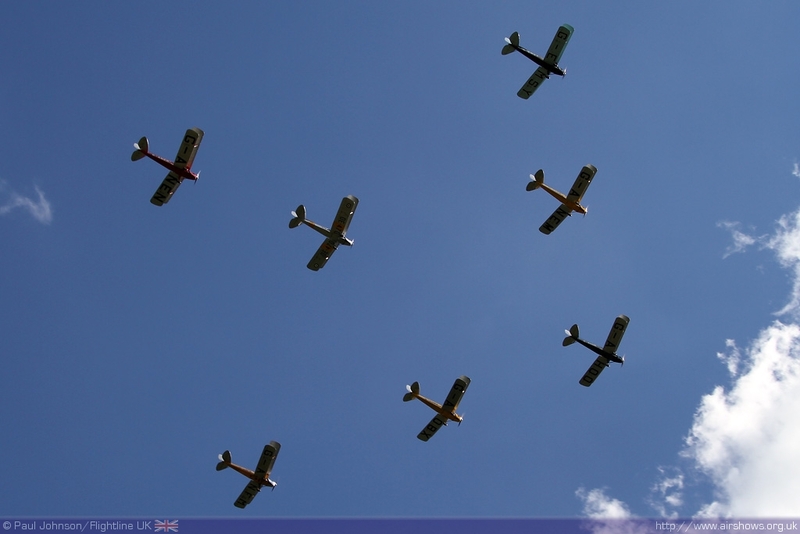 Perhaps one of the most impressive moments was the launch of seven De Havilland Tiger Moths from the confines of Baxterley for a formation display very reminiscent of the old Diamond Nine display team. The aircraft launched in stream before forming up for a number of passes for the crowd. 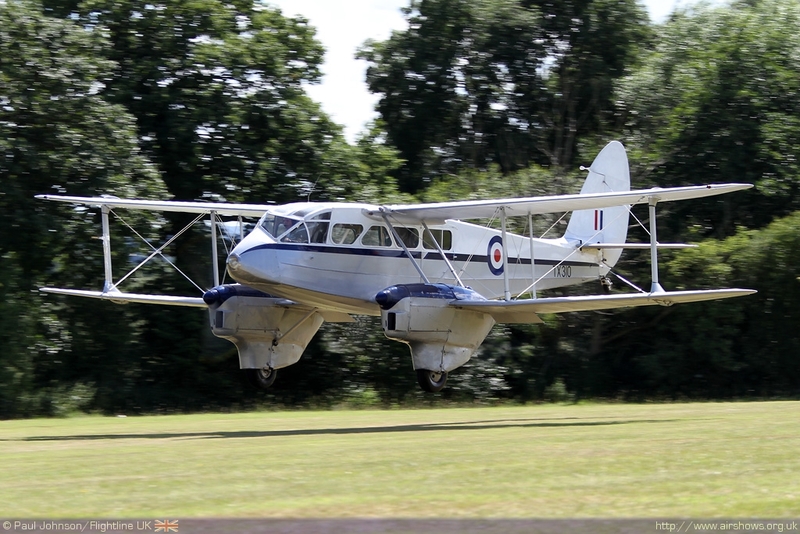 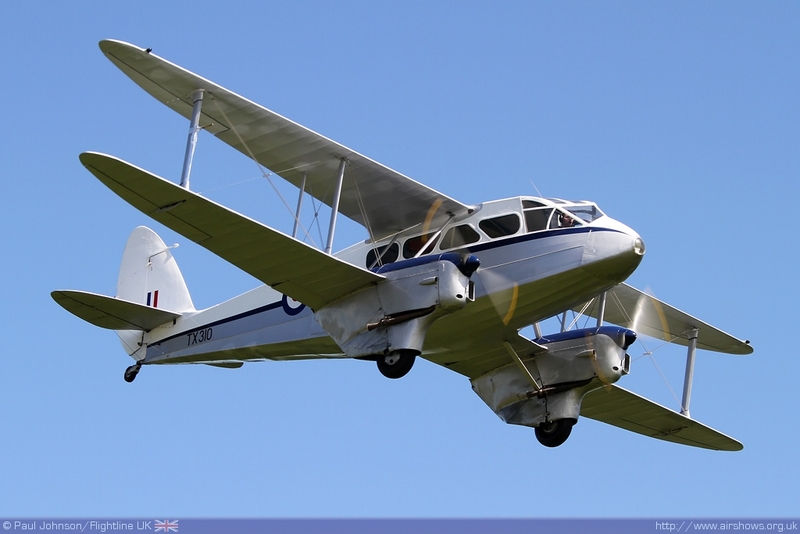 Air Atlantique's De Havilland Dragon Rapide also put on an excellent show operating from nearby Coventry stainding in for the company's Anson which was suffering from engine problems. 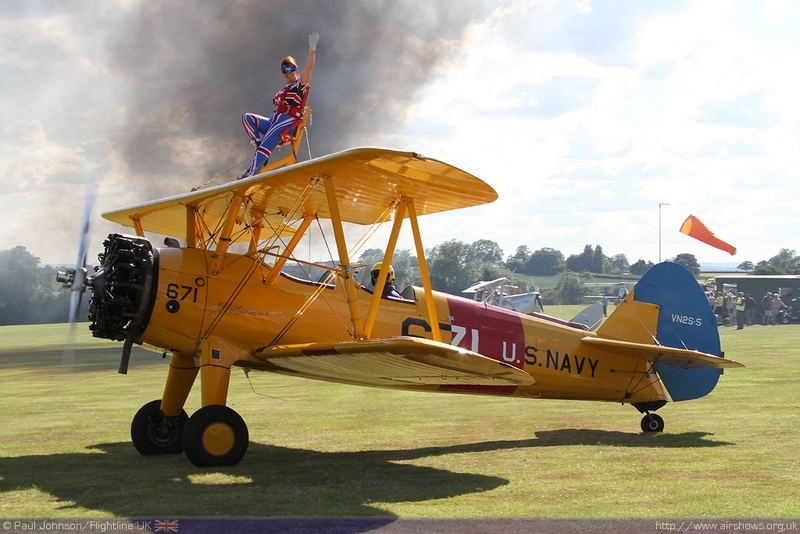 Further barnstorming came in the form of a wing-walking display by Mike Dentith and Helen Tempest who showed off her skills of scaling the wings of a Stearman she pioneered with the Crunchie Flying Circus and Utterly Butterly Barnstormers amongst others.. Mike runs Wingwalk Displays Ltd which offers people the experience of wing-walking in front of friends and family at Membury airfield in Wiltshire. 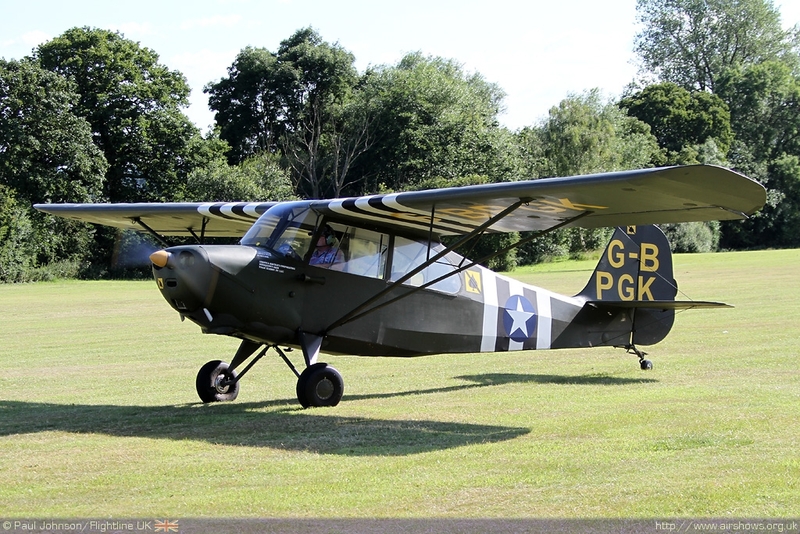 Rounding off the display was Justin Needham who gave a great display in his rare Cessna O-1E Bird Bog with authentic South Vietnamese markings. 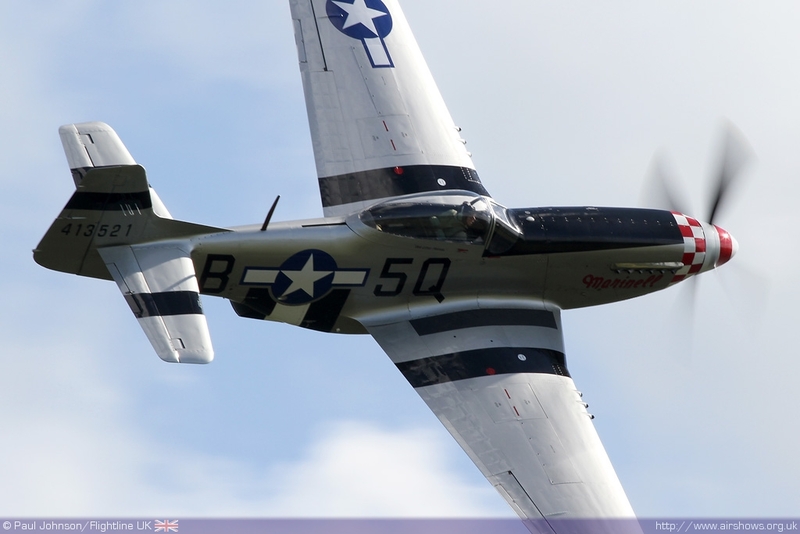 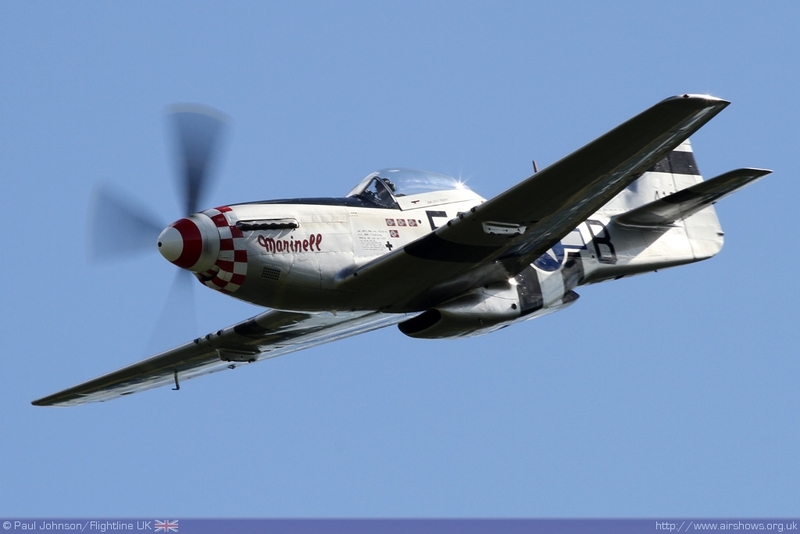 The undoubted star of the show was an appearance by Maurice Hammond's P-51D Mustang "Marinell" flown by Dave Evans. 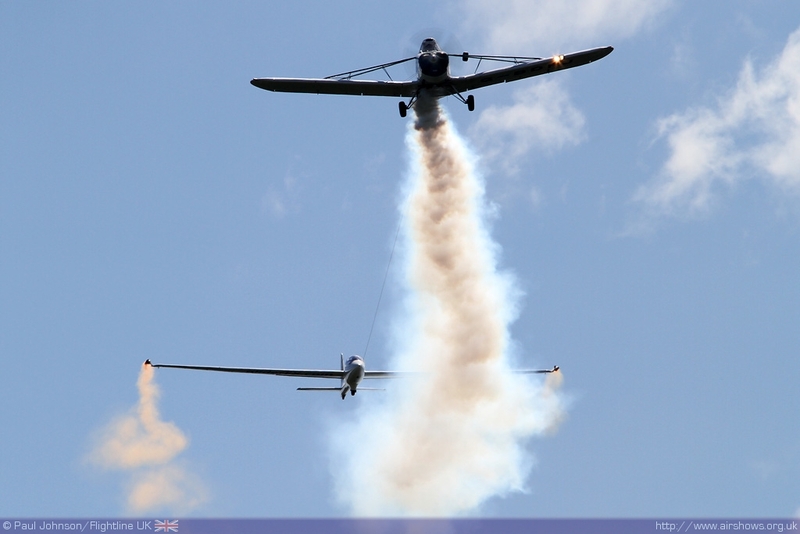 Dave put on a superb and noisy display of leisurely aerobatics before performing two strafing runs on the airfield complete with some pyrotechnics! 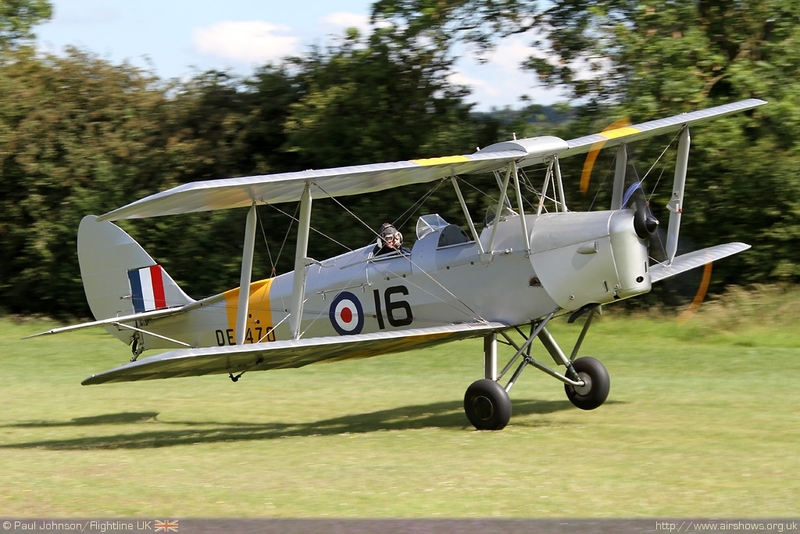 Baxterley was a really enjoyable day out - it was a fun flying display with lots of unique barnstorming acts and very different ideas that worked well in this small venue. 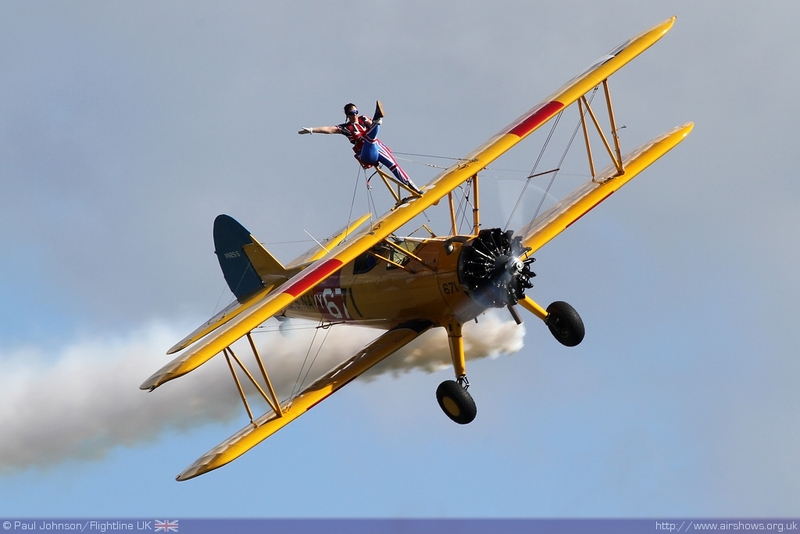 This is definitely a show to watch out for in the future.